The Church of England and the Catholic Church have issued statements urging MPs next Tuesday to vote against allowing the UK to be the first country in the world to allow a new genetic technology that critics say is both unethical and unsafe. The procedure, known as mitochondial replacement therapy, has been developed by British scientists in Newcastle. It allows IVF clinics to replace an egg’s defective mitochondrial DNA with healthy DNA from a female donor, to prevent children suffering debilitating conditions like muscular dystrophy. If it works, the result would be babies that are free of disease who are genetically related to three parents, including two mothers. The human germline, the sequences of cells through which genetic information is passed on through generations, would be irrevocably altered. In introducing the technique, the UK will cross an internationally observed ethical and legal boundary, and in doing so gravely undermine the inherent dignity of the human person …. People living with mitochondrial disease deserve safe and effective medical treatment and an understanding of what causes their condition. But mitochondrial transfer will not provide this. It aims to mitigate human suffering by simply preventing certain humans from being born, using methods that will have unknown and unquantifiable consequences for future generations. Introducing the practice into the UK will be a great step backwards for medical ethics and human dignity. MPs will decide on Tuesday whether to change the Human Fertilisation and Embryology Act (HFEA) of 2008 in order to legalise the procedure. The Government is backing the move. Bishop John Sherrington, from the Catholic Bishops’ Conference department for Christian Responsibility and Citizenship, says the move would have “profound implications”. 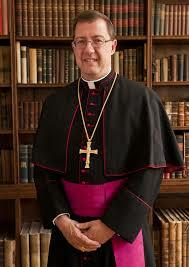 The Church of England has no objection in principle to the destruction of embryos for medical purposes (Sir Tony Baldry, the voice of the Anglican Church in the Commons, noted that “the Church of England accepts that embryo research is permissible if it’s undertaken to alleviate human suffering”), but Bishop Sherrington’s statement articulates the Catholic ethical objection to any procedure that involves the destruction of human embryos as part of the process. “The human embryo is a new human life, and it should be respected and protected from the moment of conception,” Bishop Sherrington said. 1. The regulations are entitled ‘mitochondrial donation’ but the processes they permit (Regulations 4 and 7) are the removal and insertion of ‘nuclear DNA’ out of and into an egg or an embryo. 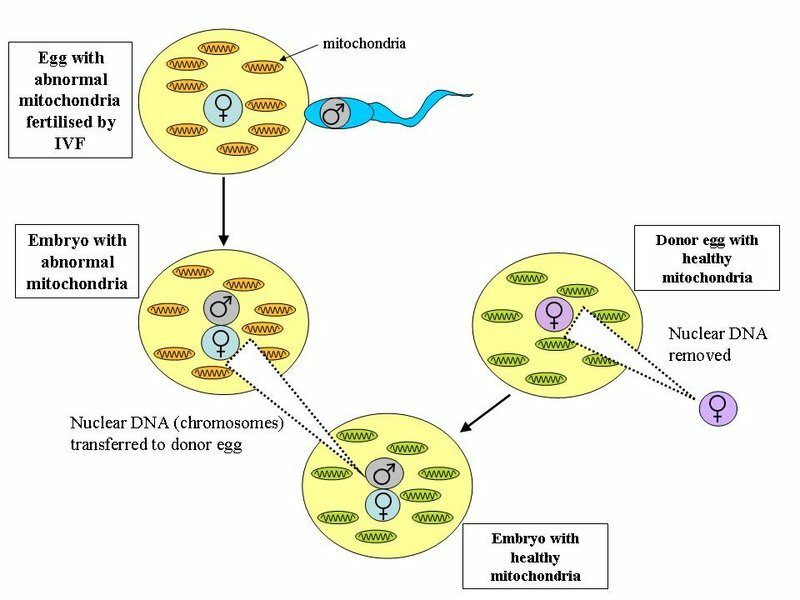 Note also that these techniques would not treat mitochondrial disease in any existing person but aim to produce children who are genetically related to the birth mother but free of her inherited condition. 2. The possibility of extending the HFE Act by regulations was included in the Act with the assurance that such regulations would only be enacted ‘once it was clear that the scientific procedures involved were effective and safe’. 3. Though prominent scientists in the United Kingdom are keen to press ahead, the international scientific community as a whole is not convinced that safety and efficacy has been shown. It is particularly significant that the FDA [the US body which regulates medicines] does not yet consider ‘mitochondrial donation’ to be safe. In at least some cases the FDA has been right to be more cautious than the UK. When Thalidomide was in widespread clinical use in the UK it was not approved by the FDA for use in the USA. 5. Those who were MPs in 2008 should also recall the unfulfilled claims made by scientists in Newcastle for the efficacy of ‘animal-human hybrid’ embryos to find treatments for various conditions. Note that the present experimental techniques will affect not only embryos but also women and children. 6. Even though ‘mitochondrial donation’ (that is, replacement of nuclear DNA) has not been shown to be safe or effective in human beings, the government proposes to license these techniques directly for treatment without first gaining safety data from a clinical trial. It has been stated specifically that these techniques will not be licensed “with the objective of ascertaining… safety and/or efficacy”. A clinical trial would create legal problems as the European Directive on clinical trials (2001/20/EC) states in Article 9(6) that “No gene therapy trials may be carried out which result in modifications to the subject’s germ line”. A clinical trial would also create ethical problems and we do not recommend it. However, MPs should consider whether introducing a radical new genetic technique affecting future generations without even a clinical trial is something that should be contemplated. 7. Each MP must consider whether he or she has confidence that replacement of nuclear DNA has been shown to be effective and safe, and each must take responsibility for this decision. This responsibility should not be passed on to the HFEA, for the Act very deliberately did not give this power to the HFEA, but required regulations and hence parliamentary scrutiny. 8. The regulations envisage that by one technique (Pro-Nuclear Transfer) two embryos would be destroyed in the process of constructing a modified embryo. This is a further step in commodification of the human embryo and a failure to respect new individual human lives. This entry was posted in Uncategorized and tagged Bishop Sherrington, mitochondrial DNA. Bookmark the permalink.